Giri achieved the grandmaster title at the age of 14 years and 7 months. In 2002 he moved to Sapporo, Japan with his parents and lived there until 2008. Since February 2008 Giri and his family have been living in the Netherlands. 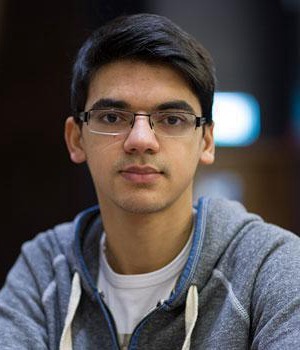 Giri is a four-time Dutch Chess Champion (2009, 2011, 2012 and 2015). He represented the Netherlands at five Chess Olympiads (2010, 2012, 2014, 2016, 2018). In January 2012, Giri won the 54th annual Reggio Emilia chess tournament, despite being the lowest rated player in a category number 20 tournament (average rating 2744). In March 2016, Giri participated in the Candidates Tournament 2016 in Moscow, Russia, where he was remembered by drowing all 14 games. Giri started off 2018 by placing joint-first with Carlsen on a score of 9/13 (+5–0=8) at the 80th Tata Steel Masters. He was defeated in the blitz tie-break by Carlsen 1½–½. And in the 81st Tata Steel Masters in January 2019, placing second with 8½/13 (+5–1=7).